With charity we usually associate the act of giving money, food or other goods to people who are poor, sick or in need in any other way. Especially nowadays where most of the people live in abundance and surplus whereas others struggle with poverty, economic underdevelopment or hunger, the act of altruistic, selfless and generous giving is a great good and churches, NGOs, charity organizations, non-profits and other organizations are practising this in some way. Being benevolent doesn’t always take a large organization, but can be pursued on a small scale already, e.g. by donating clothes or food, volunteering in relevant institutions for homeless and orphans or spending some hours for the good. However, large charity projects can’t be carried out without donations, so you need to make yourself heard to collect donations and reach volunteers. There is no better way to reach out to people than launching an online presence constituting the most important aims of your charity, non-profit or fundraising project. Using WordPress and one of the many available charity WordPress themes, you can set up charity websites with ease. 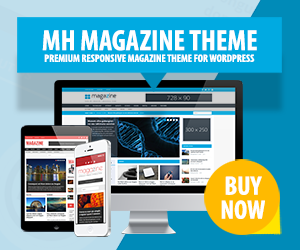 We have thus collected some of the most popular and best charity WordPress themes which might be suitable for your next NGO, non-profit, fundraising or charity project.